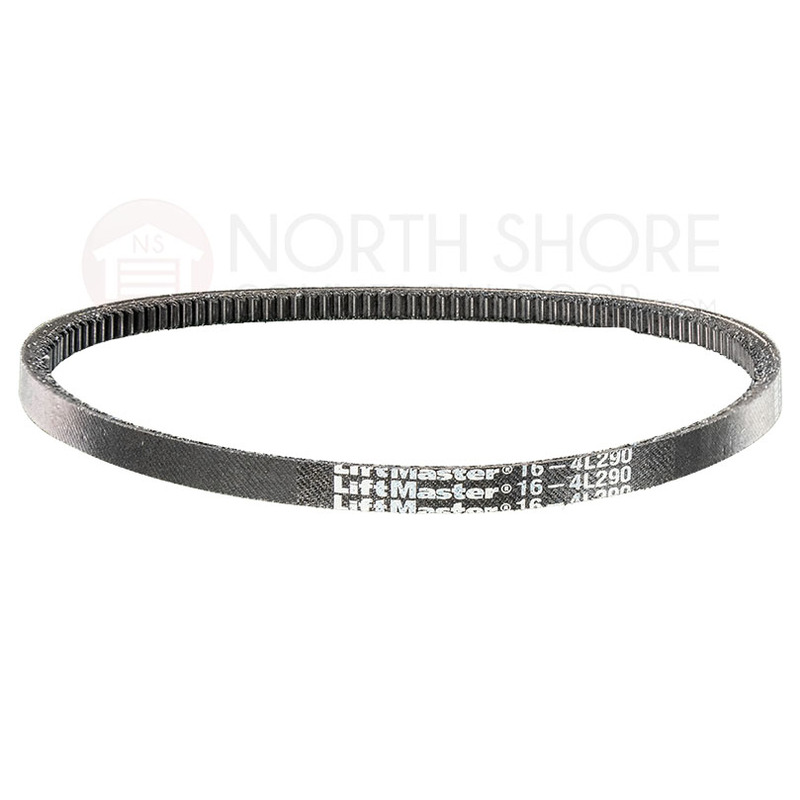 The LiftMaster 16-4L290 cogged belt from Garage Door Supply Company is a replacement part for commercial garage door operators. It's compatible with LiftMaster MT, BMT and MJ series commercial garage door openers. This LiftMaster replacement cogged belt is also compatible with LiftMaster HMJ series and LiftMaster MH series commercial operators. Garage door supply asked for this review, so... I have no clue whether the belts are correct or not, I havn't received them yet. I purchased another belt from another supplier to get the door back in service. They charged my card march 6, sent me an email saying oops, gonna be a 1-5 day delay. I re ordered from another supplier and got the door back in service. March 16 (11days later, no other commujnication) I filed a paypal case and yesterday 3-19 I got an email saying the belts had shipped??? I do not know, usps tracking says a shipping label was created, but still waiting for package...your guess is as good as mine!